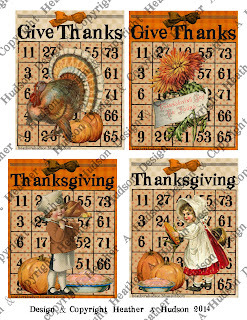 It is November now and the Blog hop is over and the winners have been posted on the Gecko Galz blog here. 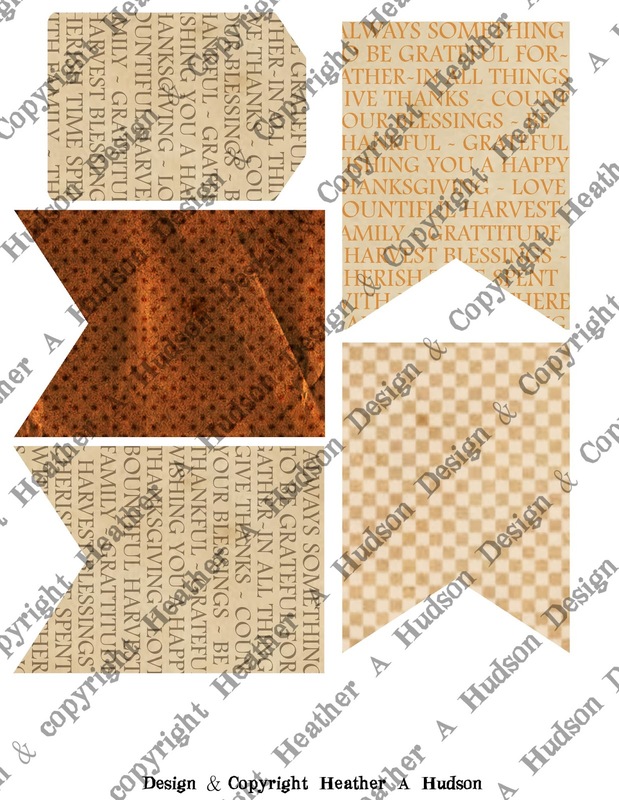 You can now find the sheet I designed for the blog hop below in my Etsy Shop here. you have been to all the blogs **. 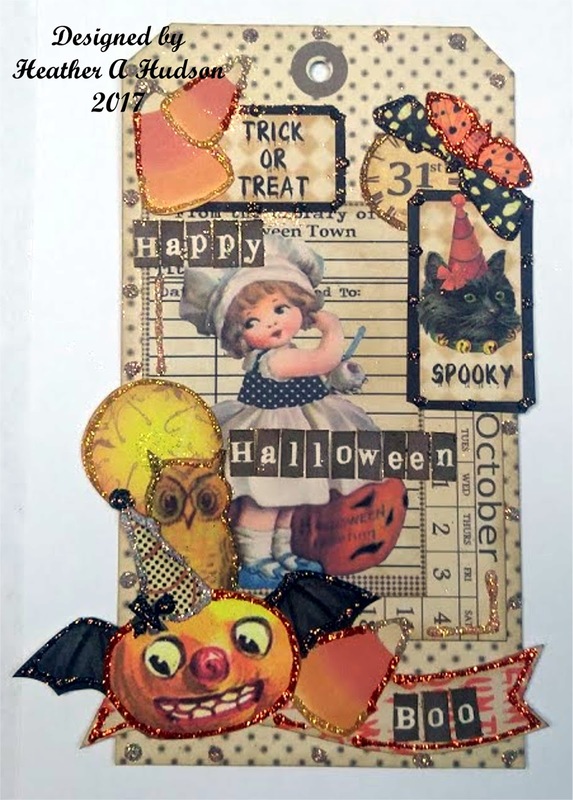 Collect the phrase at the end of the hop on the Fripperies and Butterflies site there will be a link to email the phrase to Gecko Galz at geckogalz2014@gmail.com. Here is a few Digital Examples of what I created using the images on the free sheet. 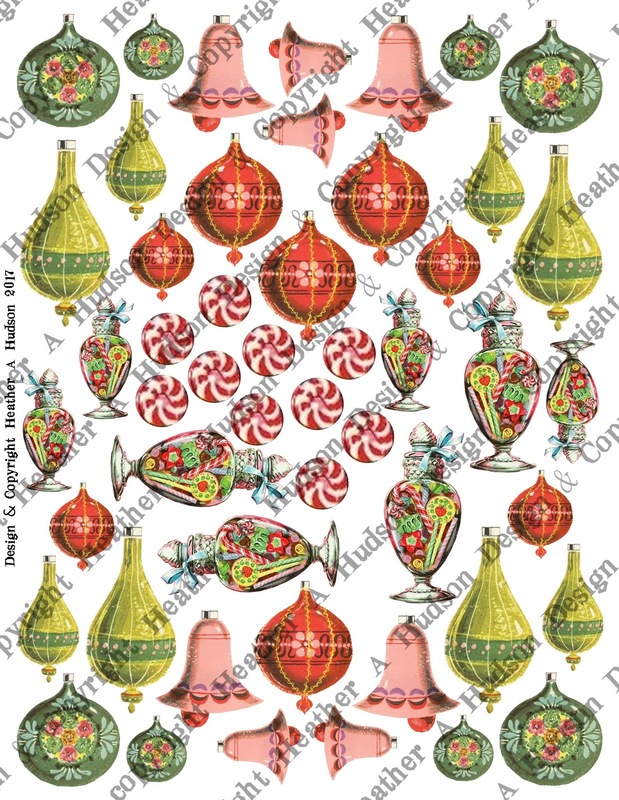 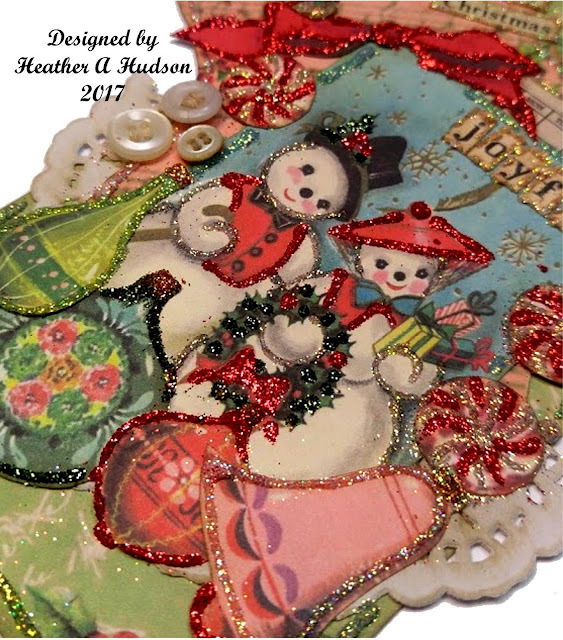 Below is a tag that I created using the Freebie sheet I have provided at the top of my post as well as my new Ornaments Embellishment sheet above. 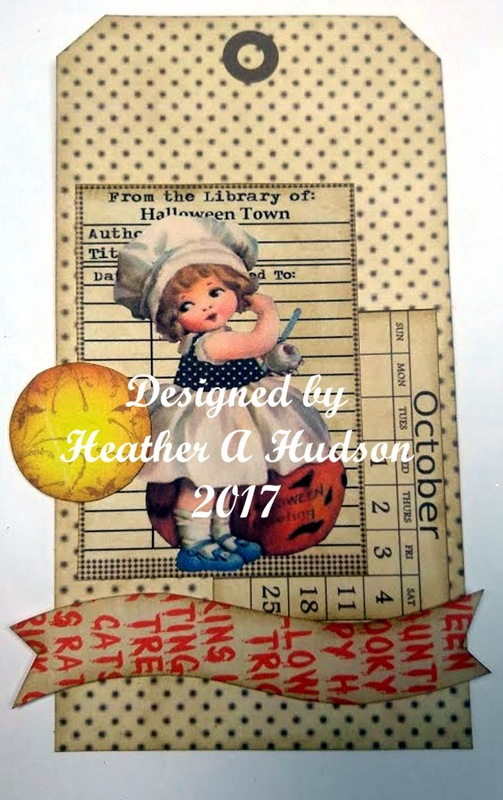 I have added s a few vintage buttons and a doily. You can see how I put this together in my video below. 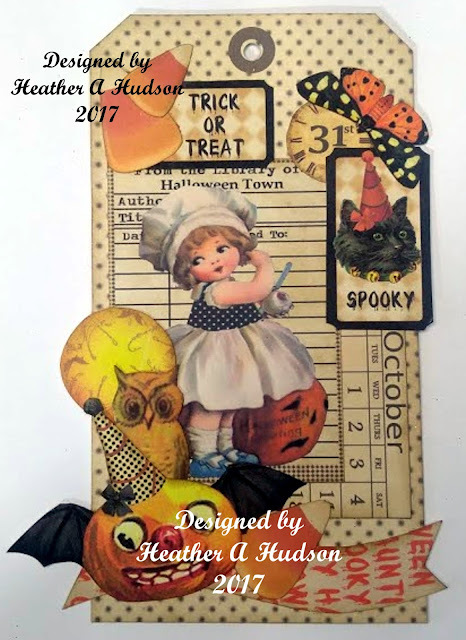 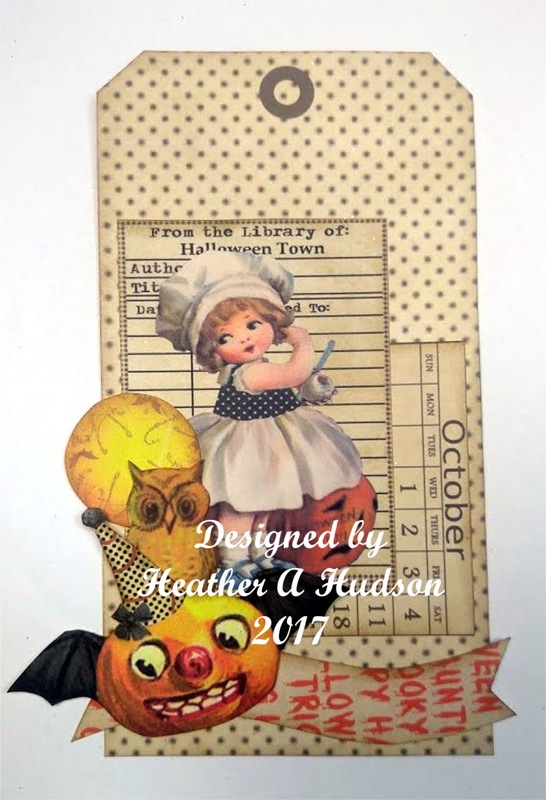 Sharing another Vintage Halloween Tag Tutorial. 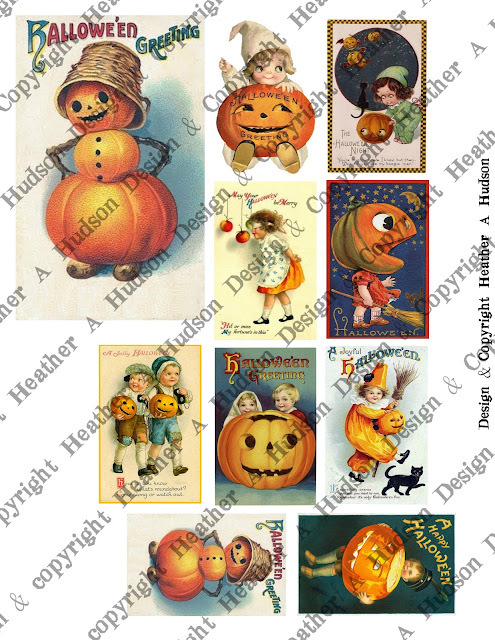 Halloween Section of my Etsy shop! I started out with one of my Large Halloween Ticket Bases, Halloween Library cards and the calendar from my Halloween Embellishments set. 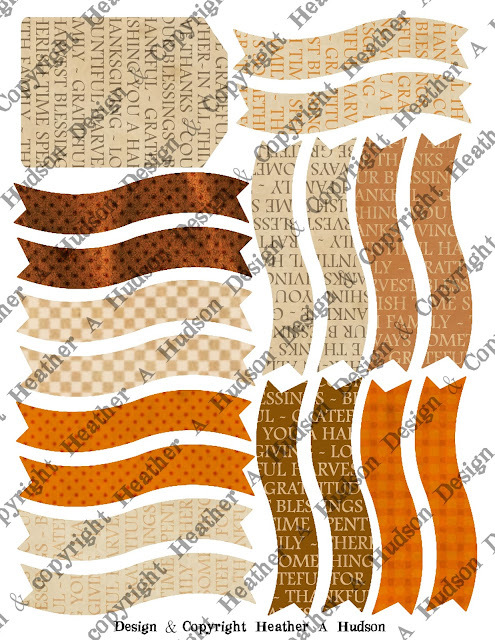 All my edges were inked with Ranger's Frayed Burlap distress ink. 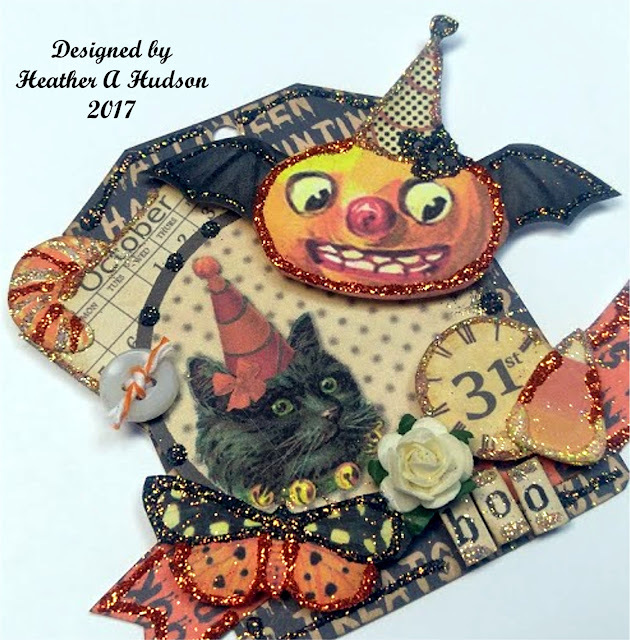 Next I layered on the moon and a curvy Halloween banner. 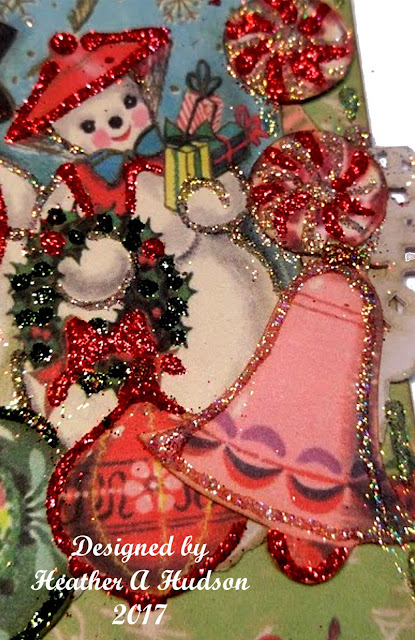 But I didn't glue down his wings all the way....cause I was going to tuck something there. 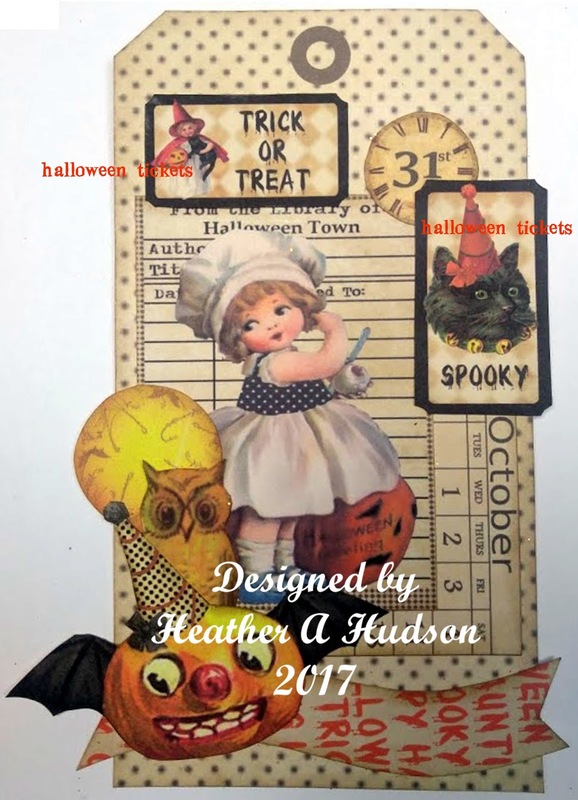 Added the 31 clock, then layered on two of my Halloween Tickets to the top of the tag. I added two candy corns in the upper left...lol...I know I covered up that sweet little witch on the ticket...but that is okay :0) I added the butterfly in the upper right and tucked in one more candy corn under my batty pumpkin on the bottom. 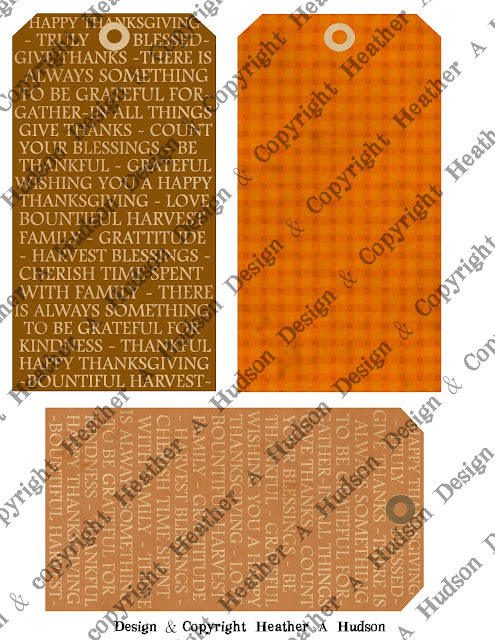 This time I decided to use some of my tiny text boxes to do a sentiment. 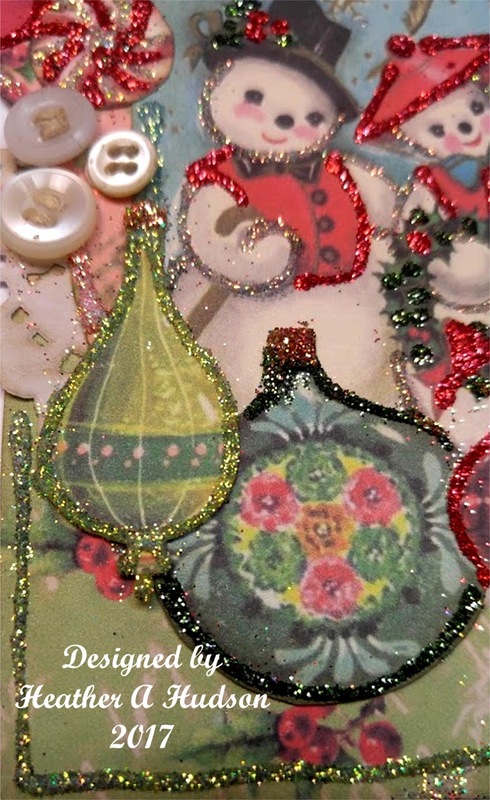 I also started to add Fauna glitter to my Candy Corns, tag base and pumpkin's hat. That is it for my layering all my pieces together. You can watch my video below to see how I glittered it all up! 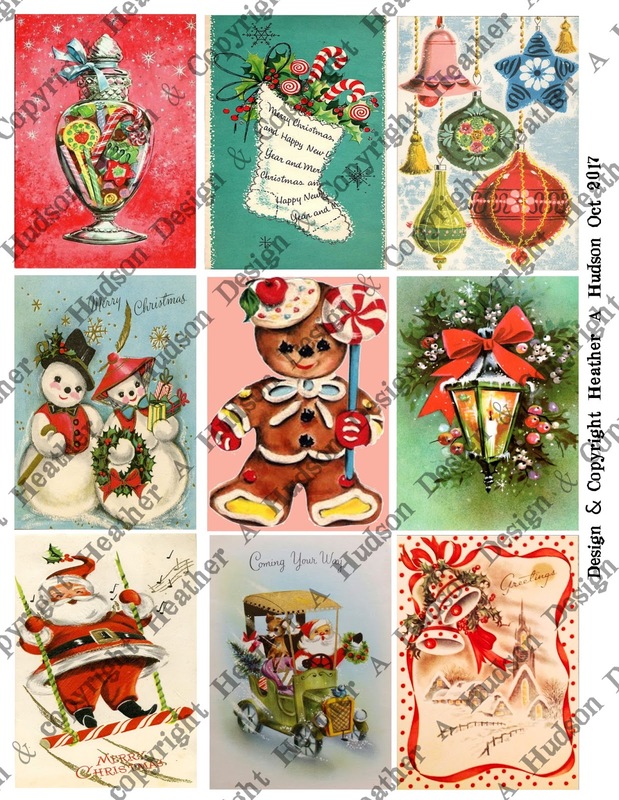 Or follow this link to Youtube. 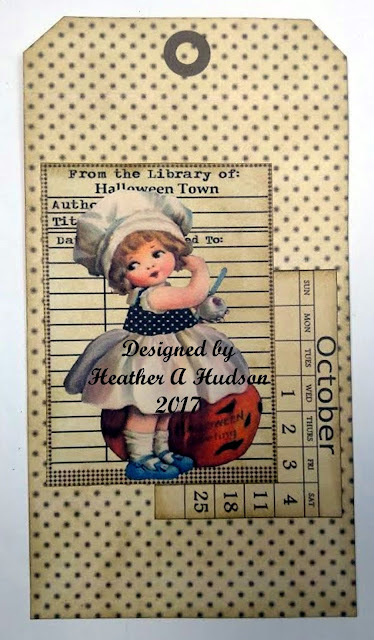 I had a little time to create a tiny Halloween tag! 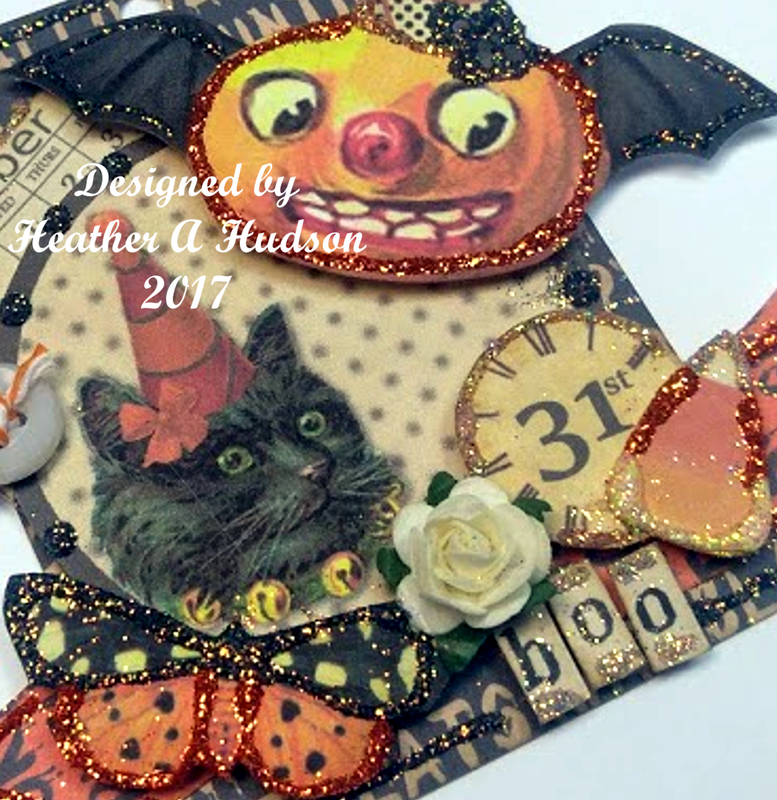 I used Pumpkin, Fauna, Autumn, Lion's Mane, and Halo glitters from Art Glitter. 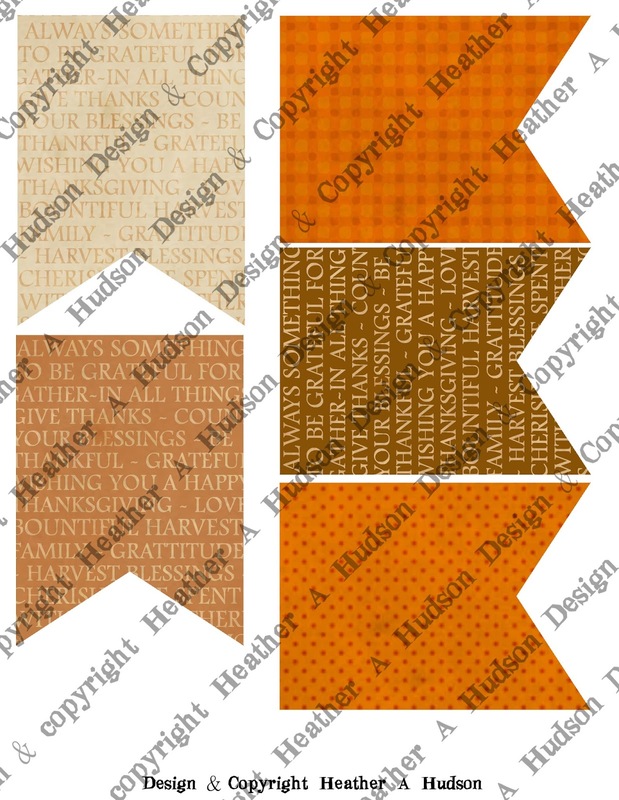 I thought I would share with you a process video of how I made my tag. 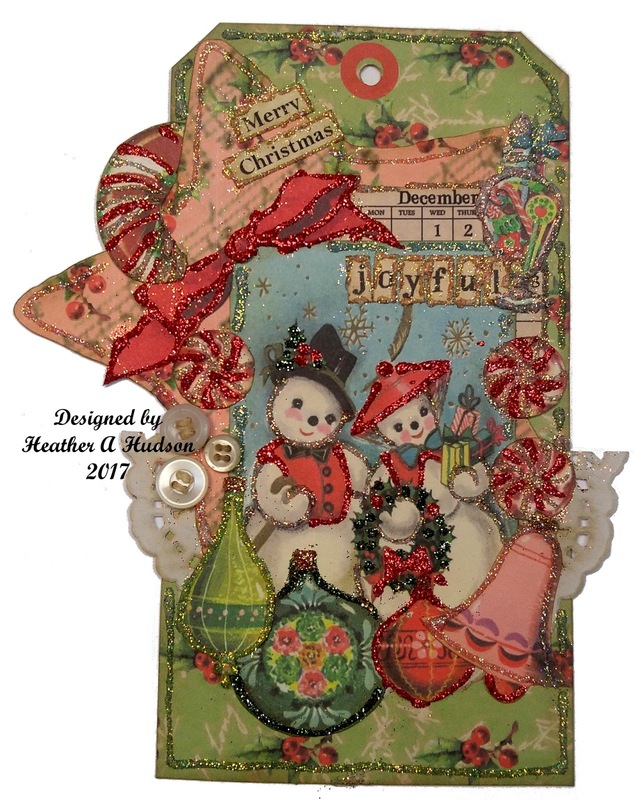 You can go to youtube here or watch my video below. 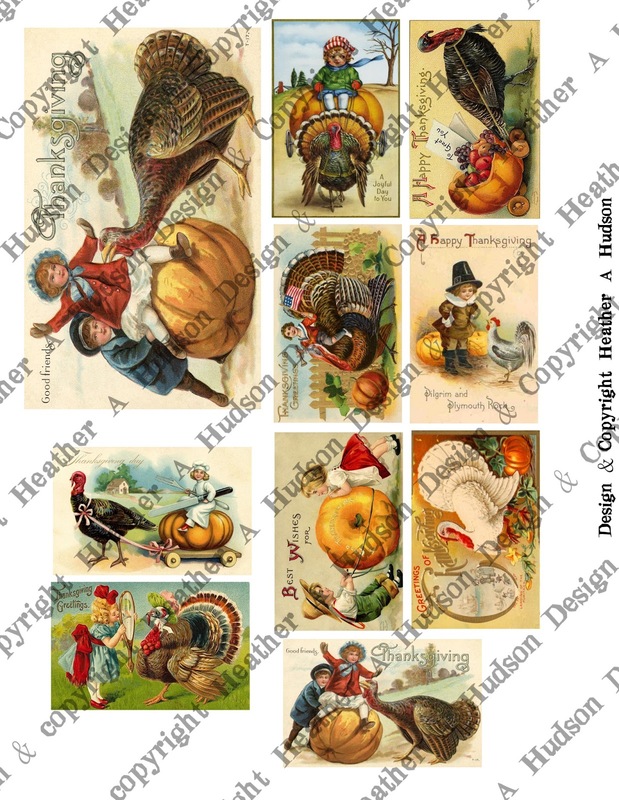 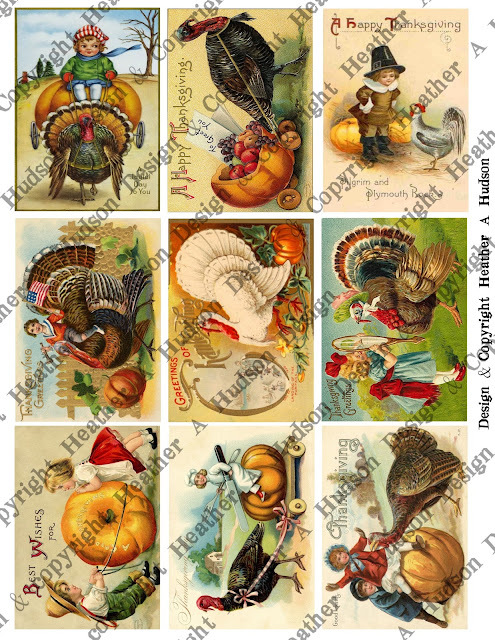 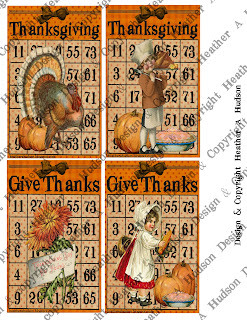 Today I am sharing a few Thanksgiving Inspired Digital Collage sheets. 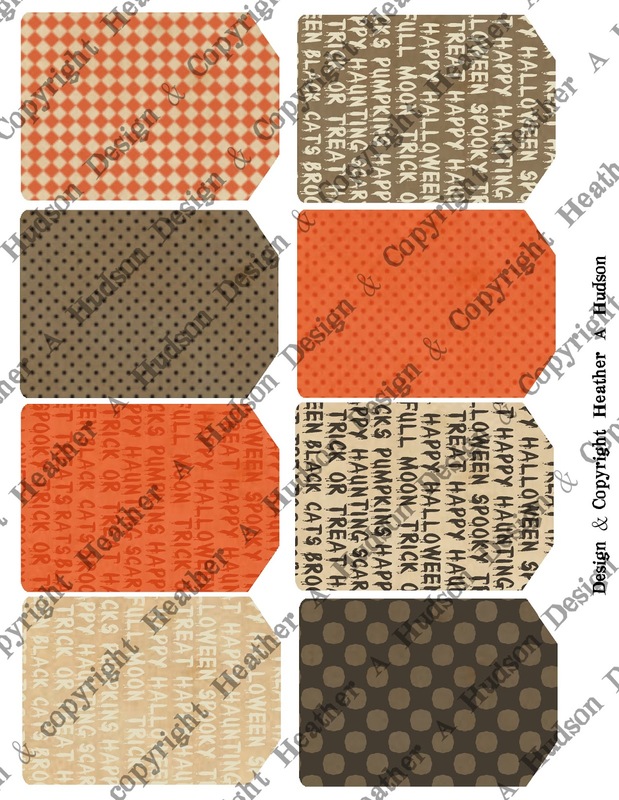 First I have a new set of Focals..if you notice, the sizes are following a theme. 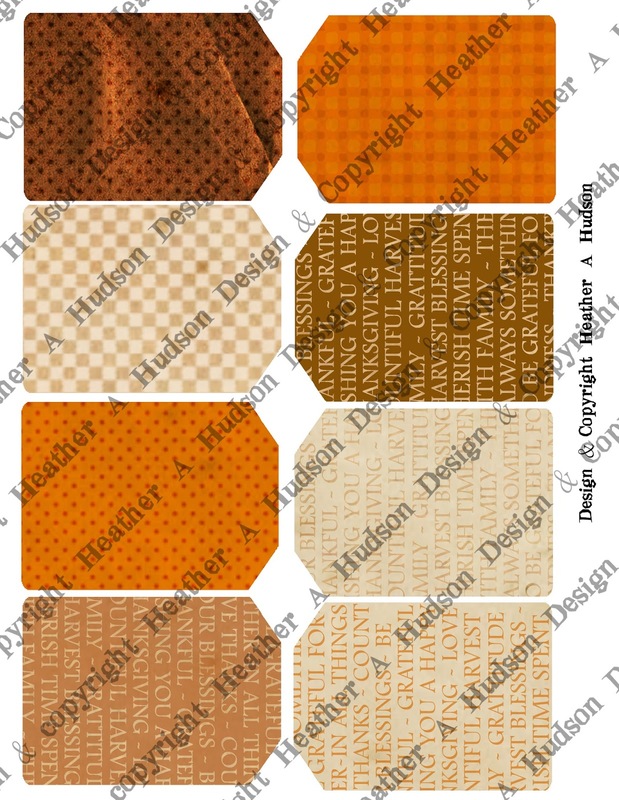 I have the images sized so they will fit on my Tag backgrounds, Tiny tags, and Tiny Swallowtail banner pieces. 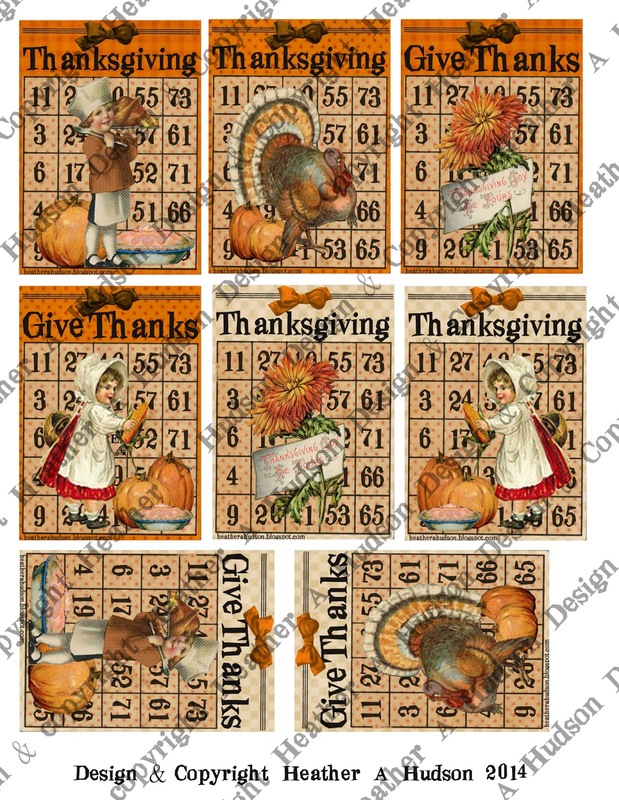 The first set are images that I have not altered except in size. in my Etsy shop here for $4.00. 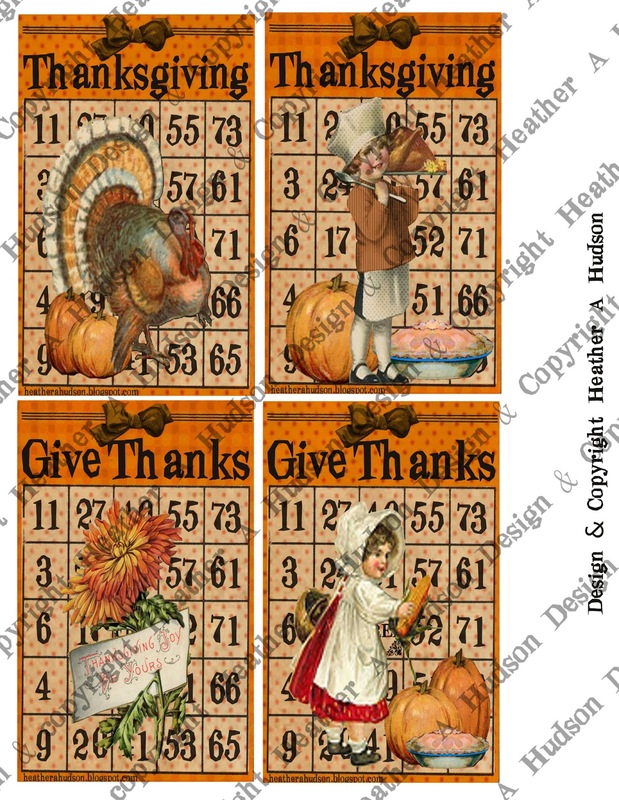 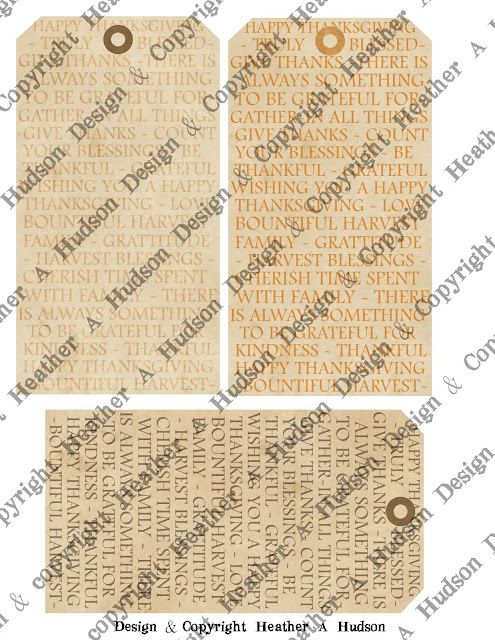 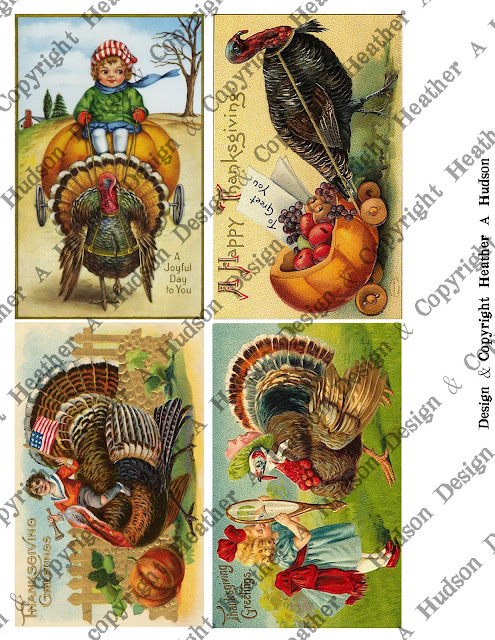 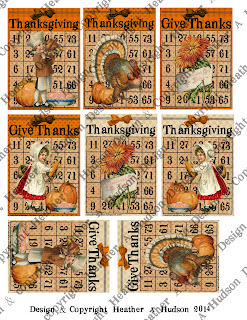 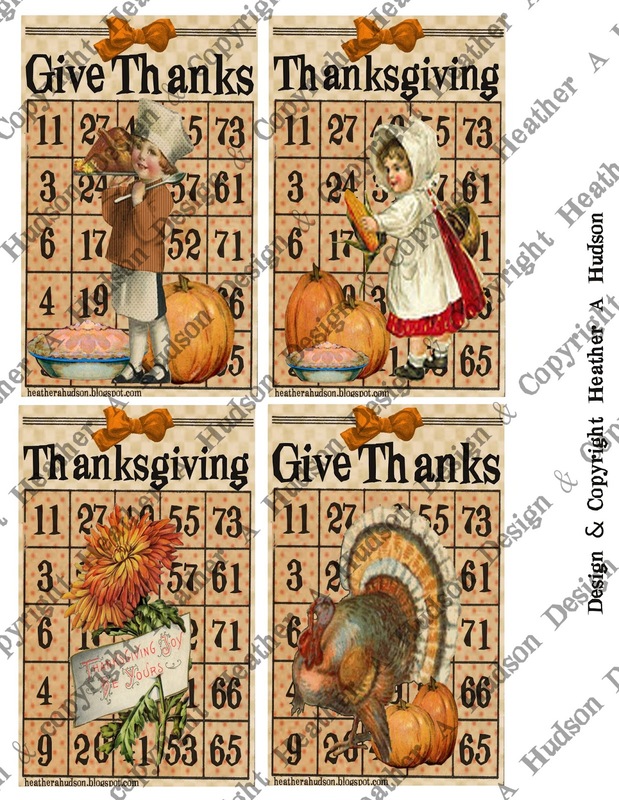 This is my New Thanksgiving Large Tags, Small Tags and Tiny Banners 7 pg set, which you can find in my Etsy here for $6. Hopefully later today I will have another tutorial to share. 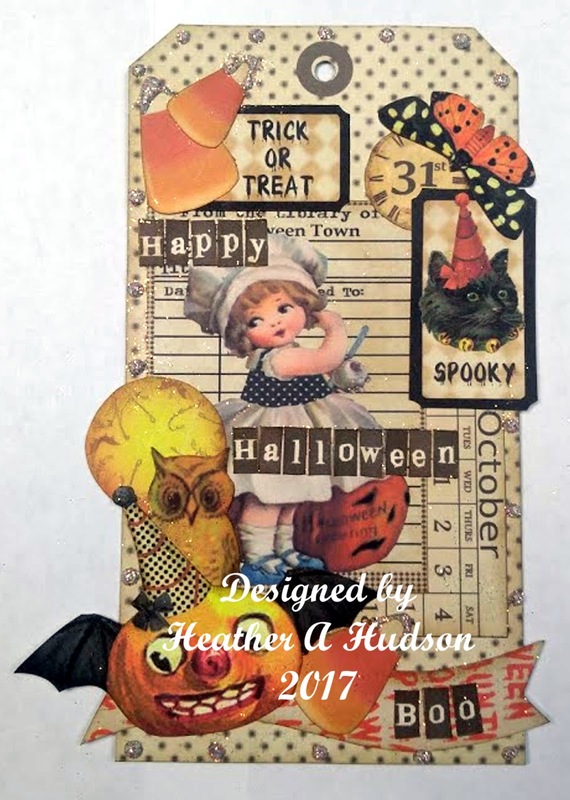 Today I am sharing a couple Witch and Halloween too cute to Spook images that I found, and have resized to fit my Large Halloween Background Tags, Small Halloween Background Tags, and my Tiny Halloween Swallowtail Banner backgrounds. 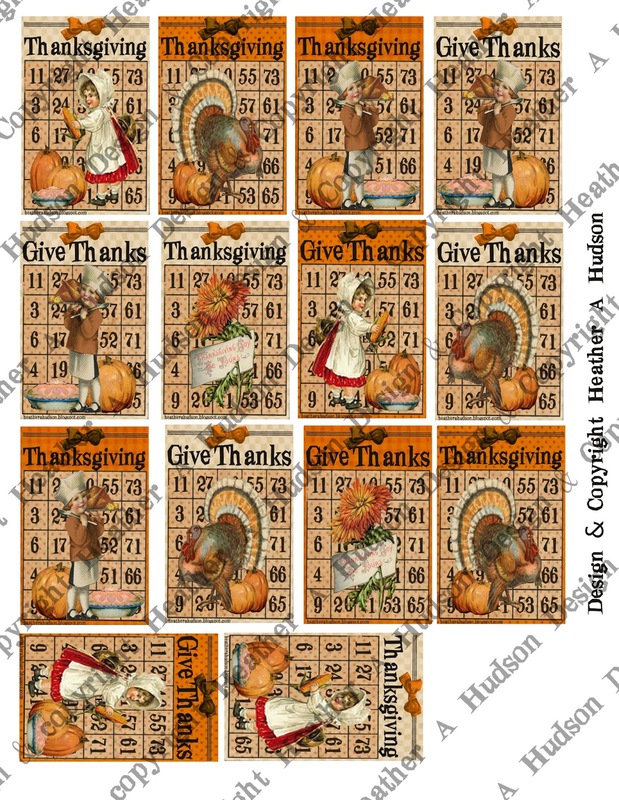 I all I have done to the images is resize them and put them on a sheet for you to print out. 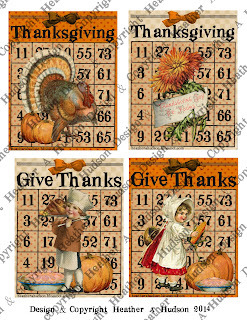 Here is the images in ATC size. 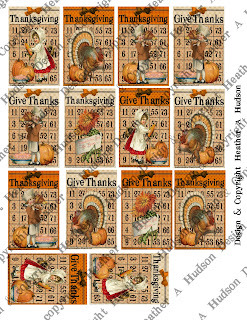 They work great as focals on my large tags backgrounds. Just add these with my Halloween Embellishment set and you will have some lovely layers! 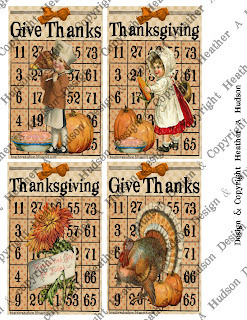 You can find this 4 page set in my Etsy for $4.00 here. 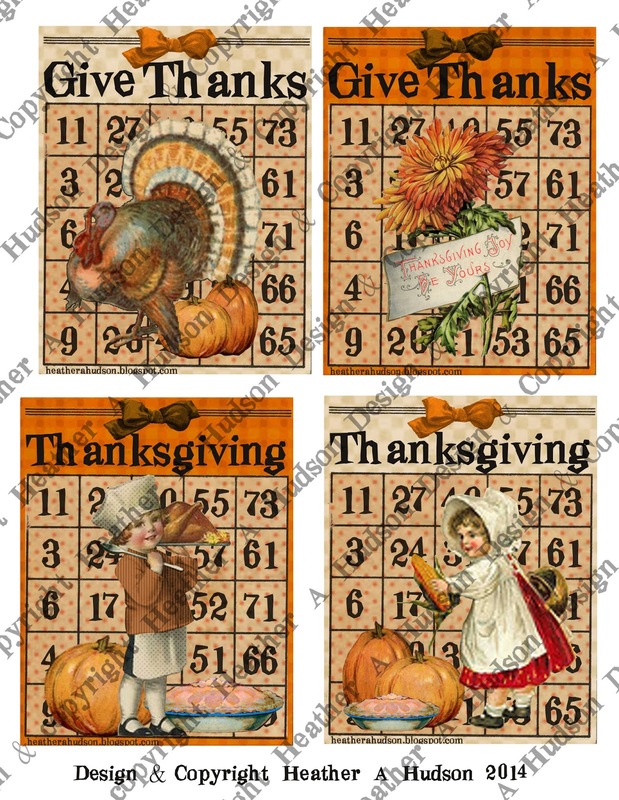 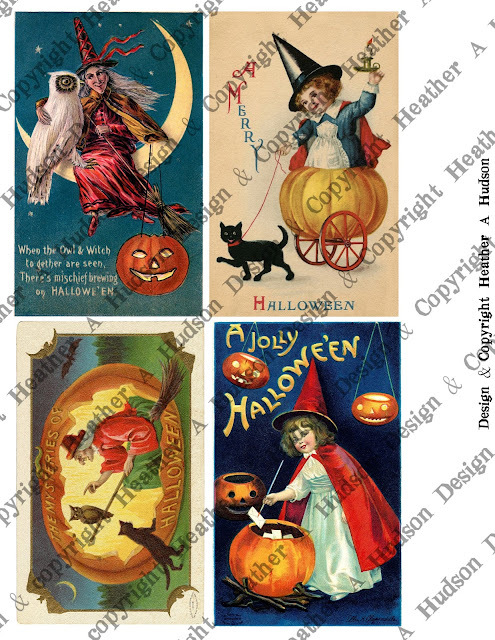 Here I have resized them to make great focals on 5 by 7 Cards, or on my Large Halloween Background Tags, which will give you a clean and simple style tag. 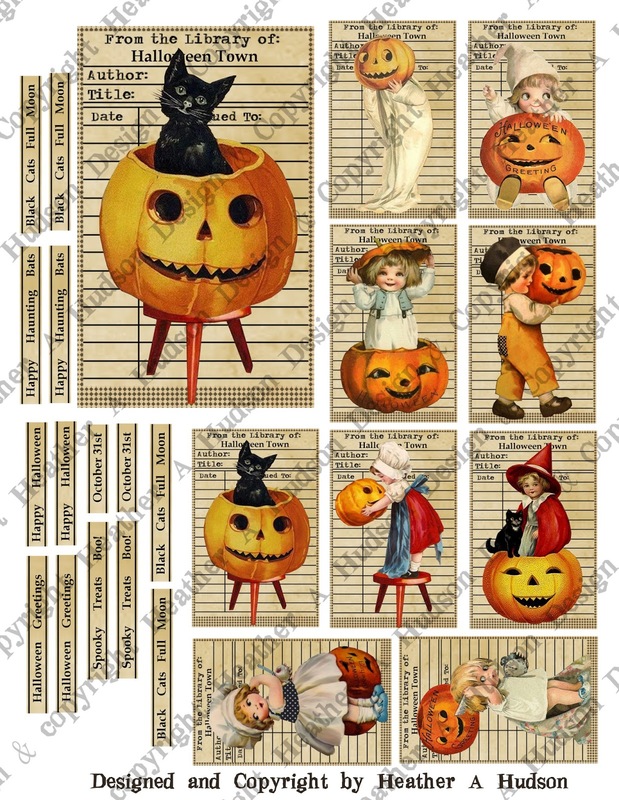 The last sheet has the final large image and tiny images that will fit nicely on ATC backgrounds or my Small Halloween Background Tags, or my Tiny Halloween Swallowtail Banner backgrounds. 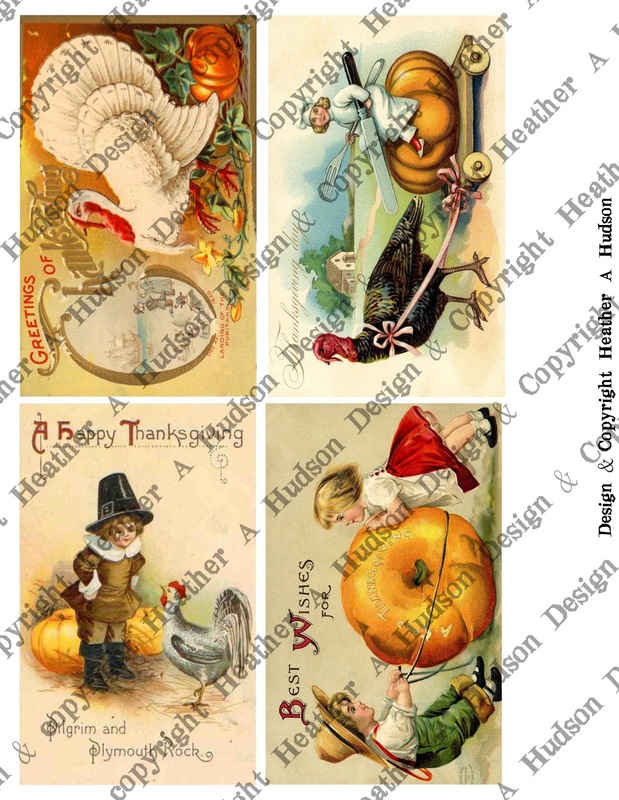 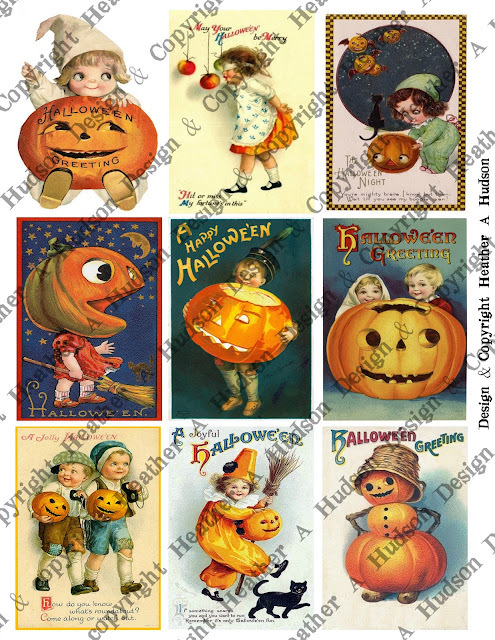 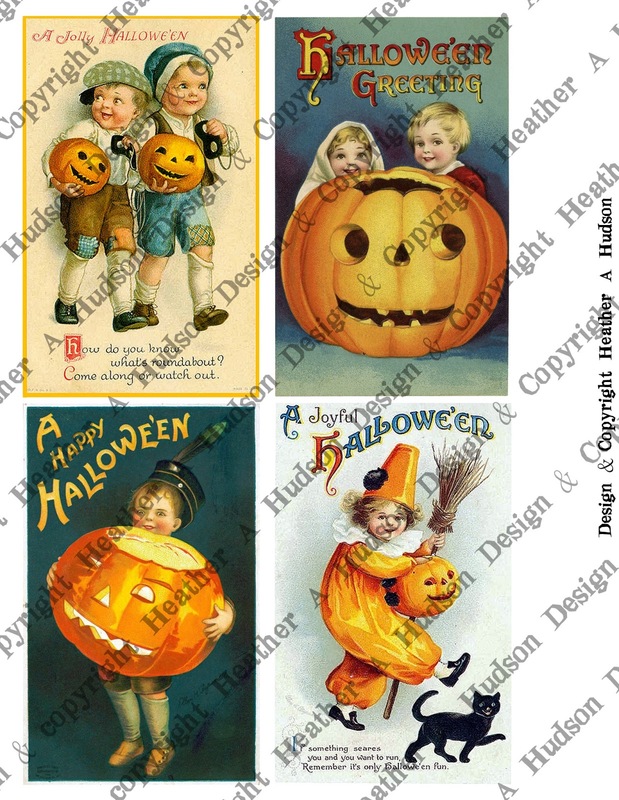 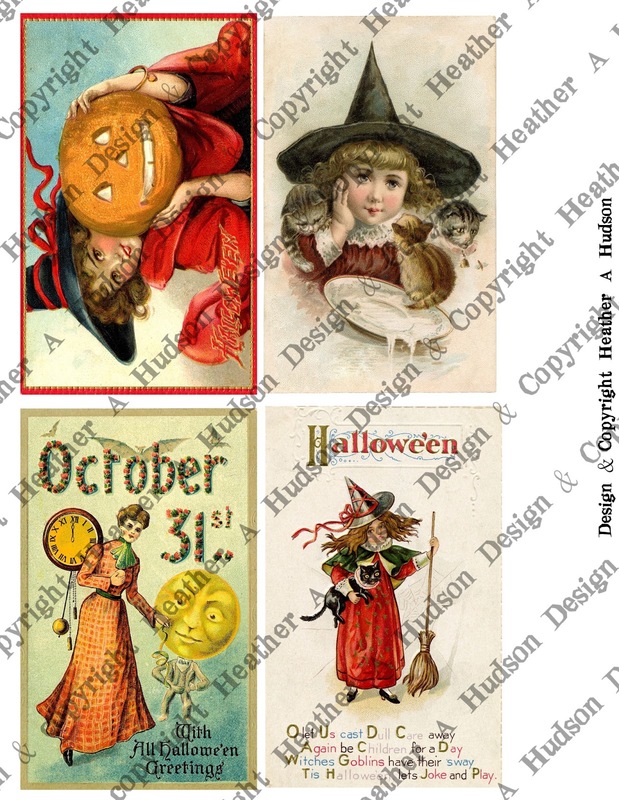 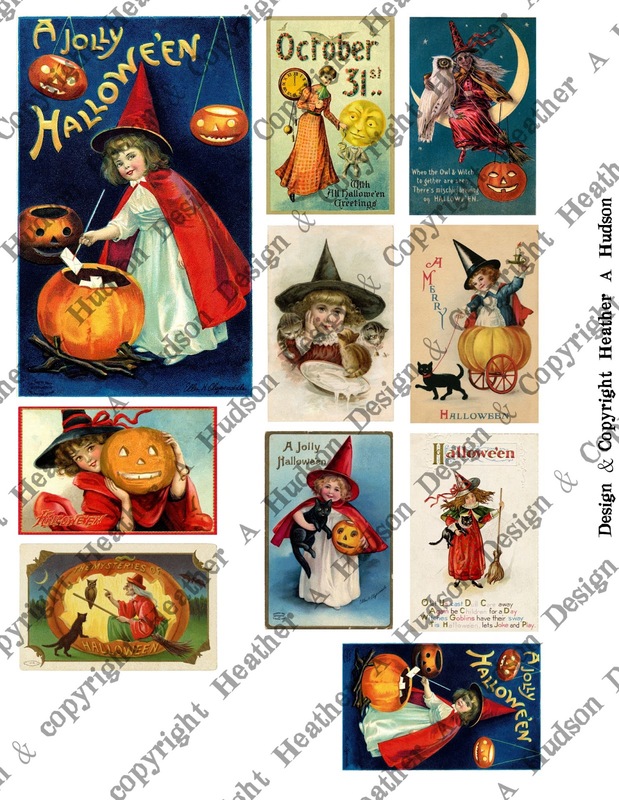 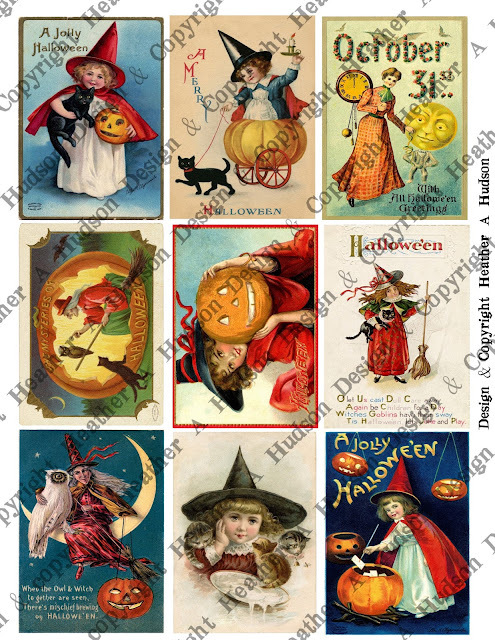 Here are the Too Cute to Spook Images...the images have all been resized like the ones in the above listing to fit my tags, 5 by 7 cards, banners, and atcs. 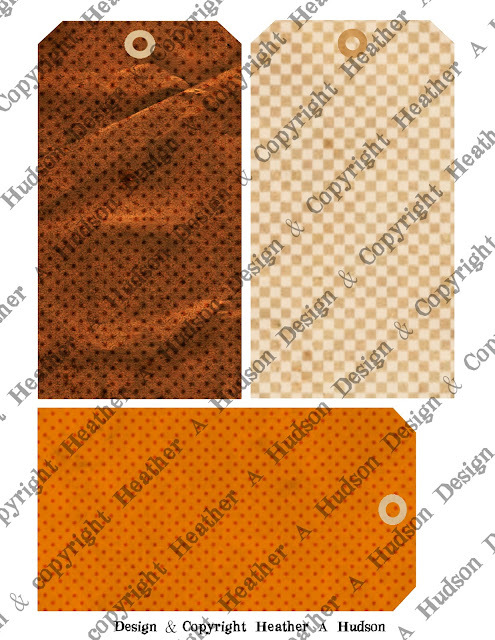 So I will have to say...this has been an idea that I have wanted to do for a while now. I just have not sat down and done it. I used Pumpkin, Autumn and Lion's Mane glitters on my ornie. You can find my Tutorial on Youtube here! 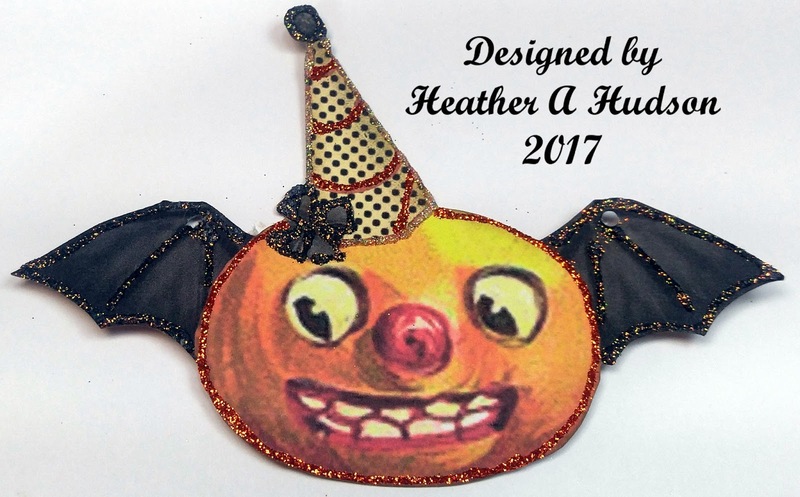 Unfortunately I can't find my beading wire...lol...so hopefully I will find it today so I can create a hanger and hang him on my Halloween Tree. 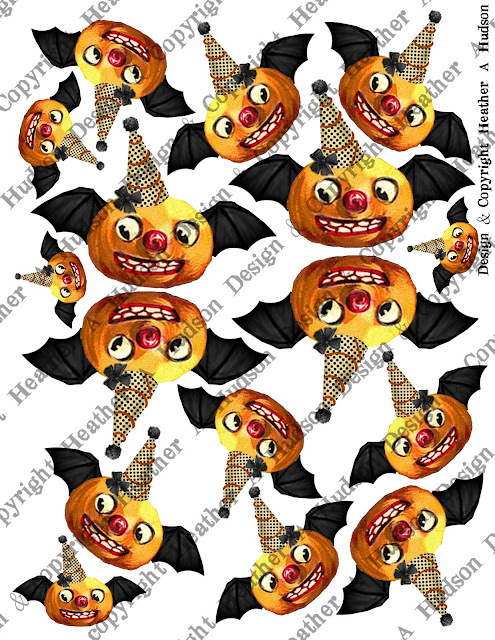 Halloween Pumpkins gone Batty 2 page digital set here! 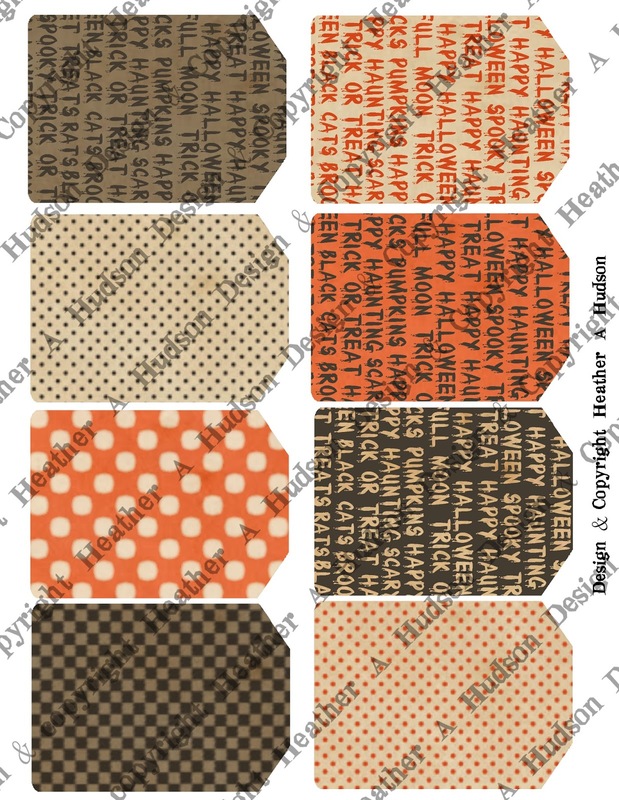 They can be cut out and glued together front to back, or you can put Halloween paper on the back. 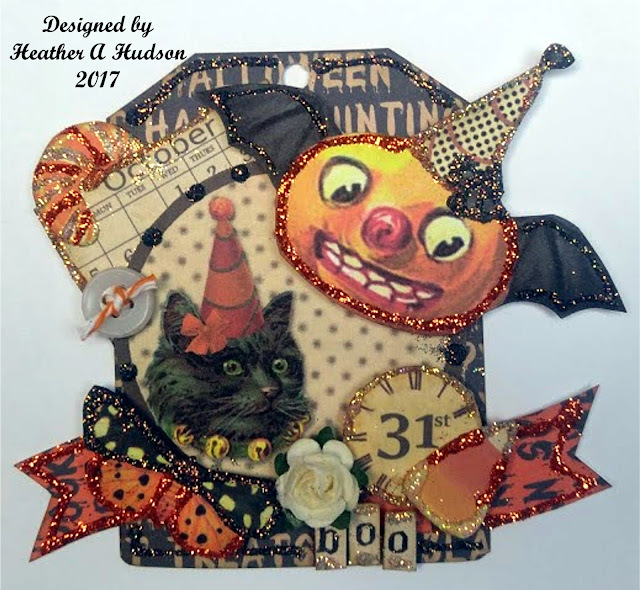 Tiny Halloween Banner and Tiny Halloween Tag sets. 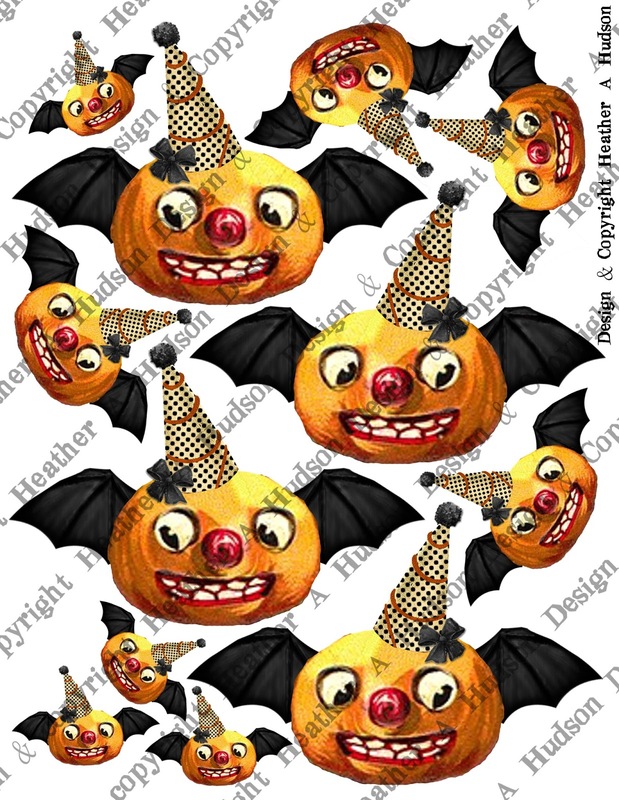 I hope you get a little ArTistIcaLLy Batty! 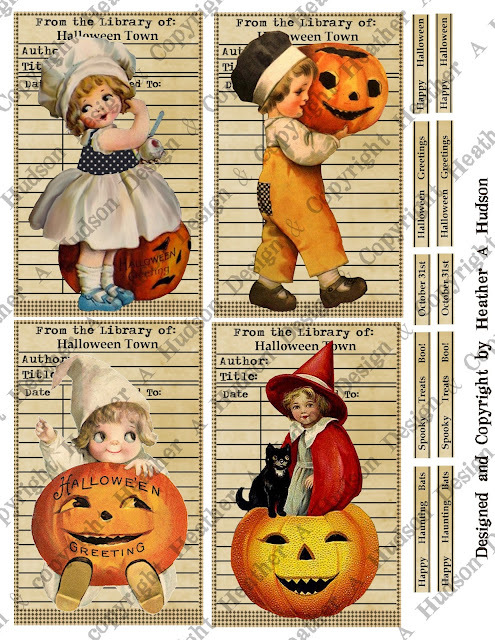 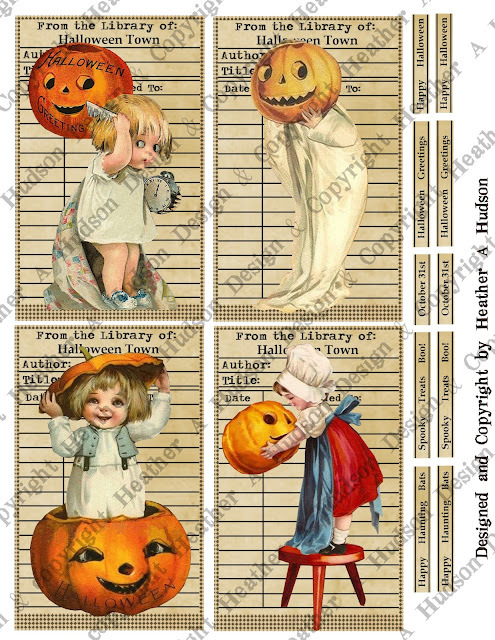 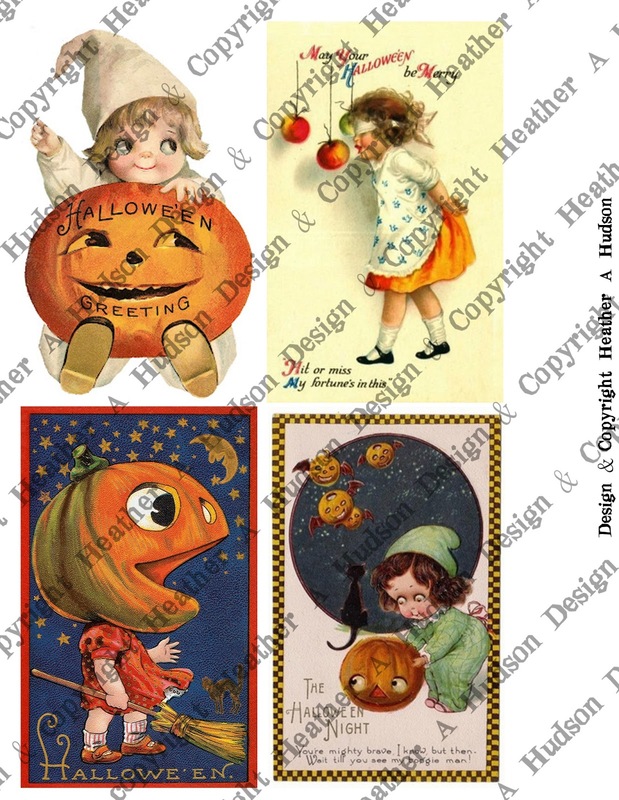 Today I am sharing a set of Vintagey Halloween Library Cards, ATC's and Tiny focals. 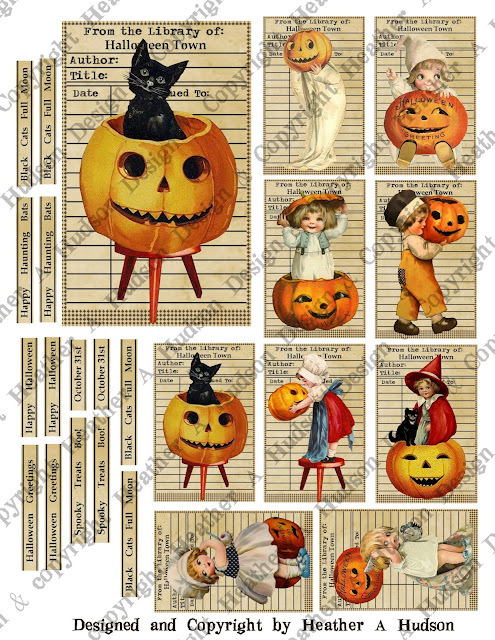 Vintagey Halloween Focals 4 page set in my etsy for $6 here. Below is the ATC Set...and they make great little focals on my Large Halloween Tags. 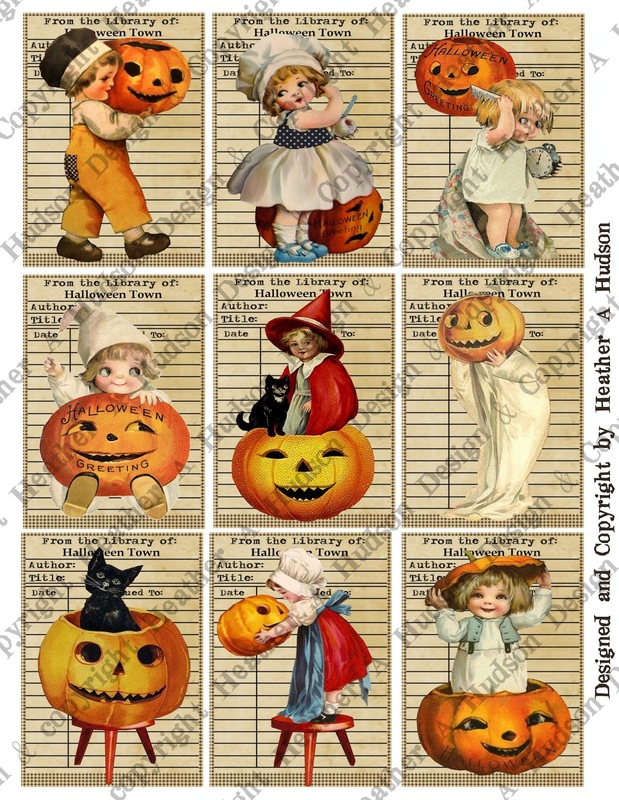 The Library card sized images will fit great on my Large Halloween Tags bases as well. The last page in this set has the library Card size black cat, and tiny sized images that fit great as focals on my Tiny Halloween Swallow Tail Banners, and Tiny Tags background sets. Here is the Tiny HalloweenTag Background set below. 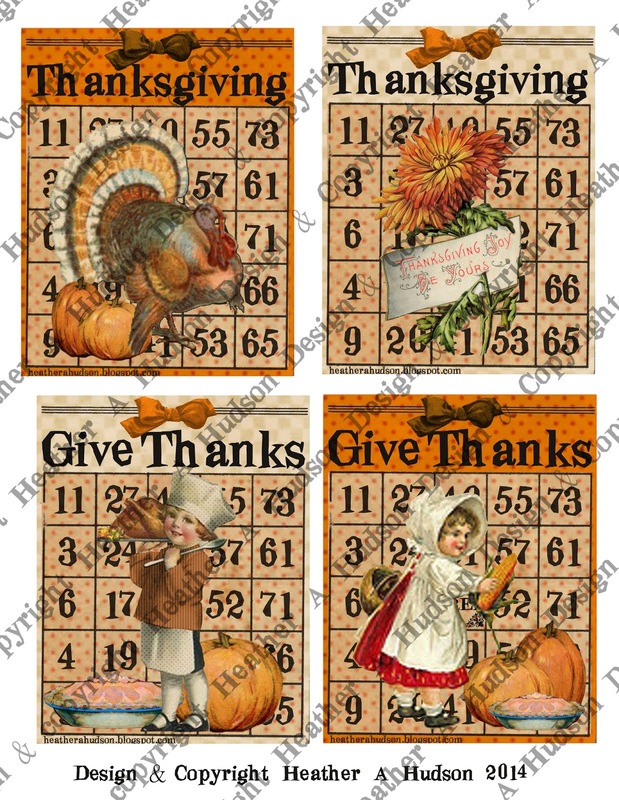 I hope to have a few examples of how I have used these soon!